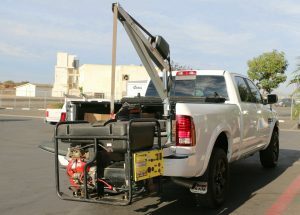 Whether for recreational use or assistance in the field, SpitzLift is a great addition to any pickup truck. 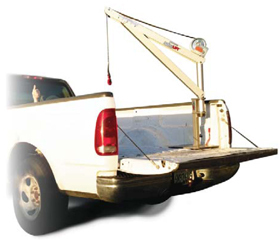 Our 4-foot standard crane is ideal for pick up truck applications. 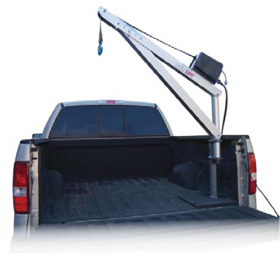 The crane comes with a manual or DC powered option and can be mounted on the left or right side of the truck. The SpitzLift 4-foot standard crane weighs less than 40 lbs.and is safely operated by one person. The DC powered option comes with a quick connect wiring harness that attaches to the vehicle’s battery. Every SpitzLift is load tested, comes with a load test certification, and meets ASME / OSHA standards. *Mounting systems vary according to OEM. View more pick up options in our product catalog. Crane weighs less than 40 lbs . No additional reinforcement or crane pedestals are required. SpitzLift cranes are load-tested and arrive pre-assembled with load-test certification. SpitzLift cranes can easily be moved from vehicle to vehicle and/or used in other off-vehicle applications. Spec bid documents are available upon request. 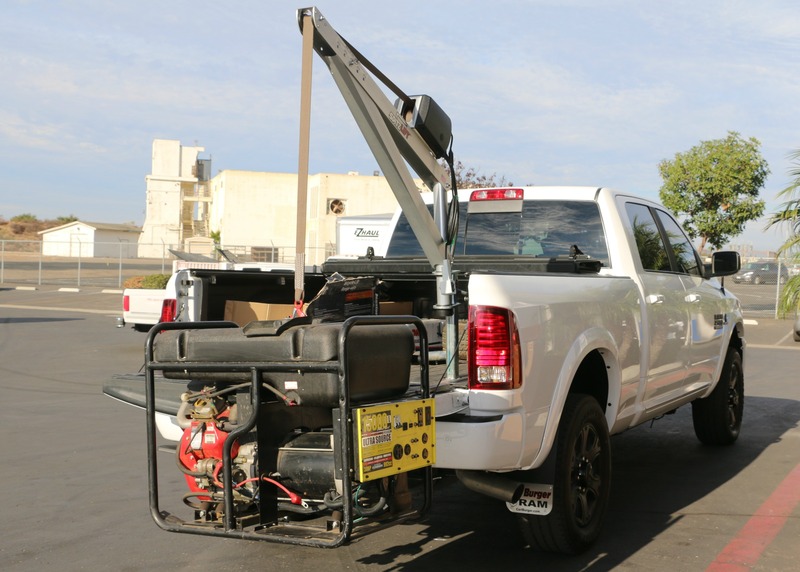 The SpitzLift Truck Receiver Hitch Kit fits any 2″ receiver hitch and does not require any modifications or installation to the vehicle. The Truck Receiver Hitch Kit is offset by 36.5″ to clear the tailgate. This mounting system can be used on the left or right side of the vehicle. 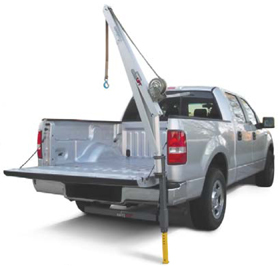 The Truck Receiver Hitch Kit comes with a 4-ft. manual crane. The crane weighs less than 40 lbs. and has a 700 lbs. load capacity. This application is easily managed by one person. When not in use, the lift and mount can be conveniently folded and stowed away in a SpitzLift carrying case. Every SpitzLift is load tested, comes with a load test certification, and meets ASME & OSHA standards. Carrying case sold separately.